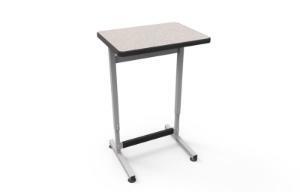 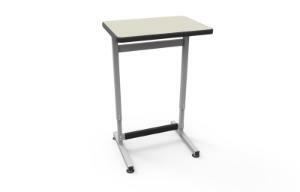 This high-pressure laminate-topped stand-up desk can be adjusted to fit almost anyone. Outfitted with a universal, heavy duty steel leg that is the same for both the left and right legs, this series is a budget friendly option. 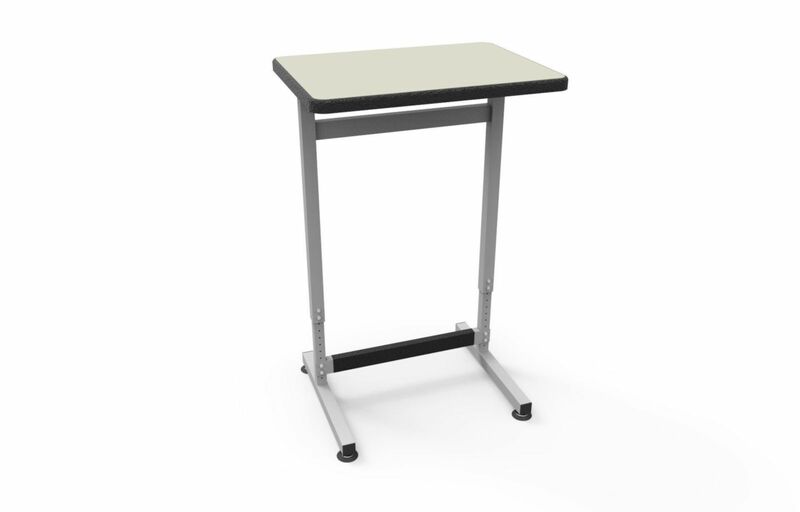 Delivery information: Supplied with a stretcher bar and welded gussets for durability and stability.